Here we have a piece that will light up any place were it is lay down. 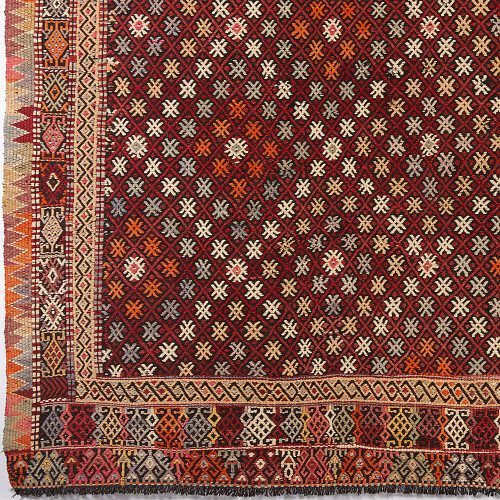 This kurdish Cicim, has a color combination were the yellows, oranges, reds dominate over a few colder hues like grey and white..the result: a striking piece that gives rustic brightness to any room. 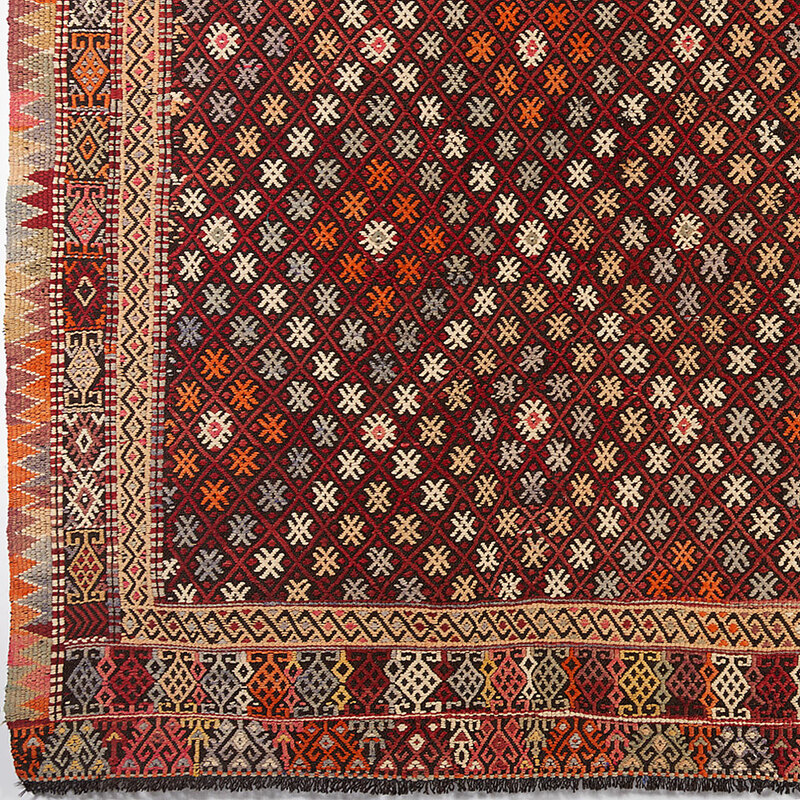 The border is also something to mention, It is wider than usual and does not have diamonds like the body of the carpet, instead a more traditional design of sections in different colors already present in the rest of the piece.